Civil engineering is one of the oldest disciplines of engineering. Civil engineers design, build and maintain our roads, bridges, canals, dams and buildings - and much more. If you're drawn to the opportunity to serve society by creating and renewing the infrastructure on which we all rely, civil engineering at UGA may be for you. 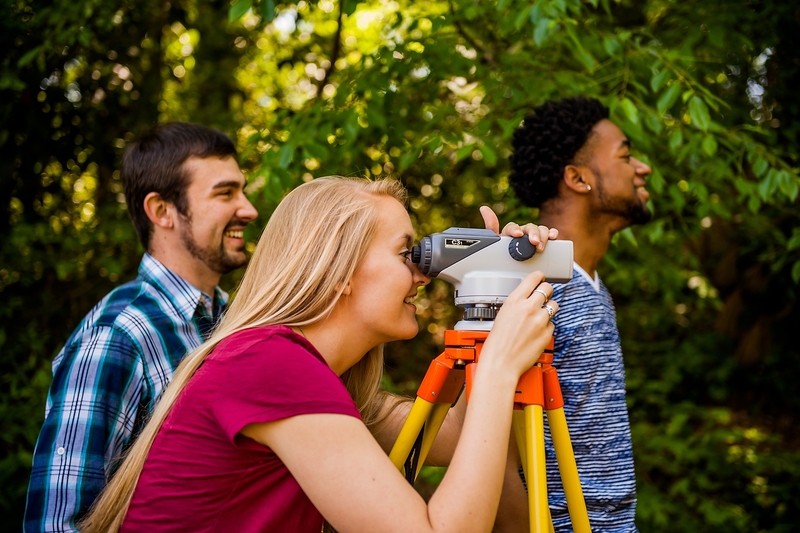 The University of Georgia Civil Engineering undergraduate program provides students with an education in engineering sciences, basic sciences, liberal arts and engineering design, and prepares them to integrate knowledge for developing new technological solutions for the increasingly complex built environment and infrastructure problems. The graduates of the program will have career opportunities in structural engineering, geotechnical engineering, sustainable infrastructure design, architectural systems, water resources engineering, solid waste management and urban systems. Be qualified to pursue professional licensure.